Narrative: Jean Gow Fielding was born 20 October 1921 in Bridgewater, N.S., the daughter of Walter Gow and Jean (Clarke) Gow. Jean attending Bridgewater schools and was a member of the girls basketball team. Jean Gow married Donald James Kelso on 2 April 1943 and had 3 children, Nancy, John and Elizabeth Kelso. Jean then married Ron Fielding on 28 May 1955 and had 1 child, Catherine Jane Fielding. Jean Gow Fielding worked at the Gow's Hardware store. Jean Gow Fielding lived at 42 Alexandra Avenue, Bridgewater. 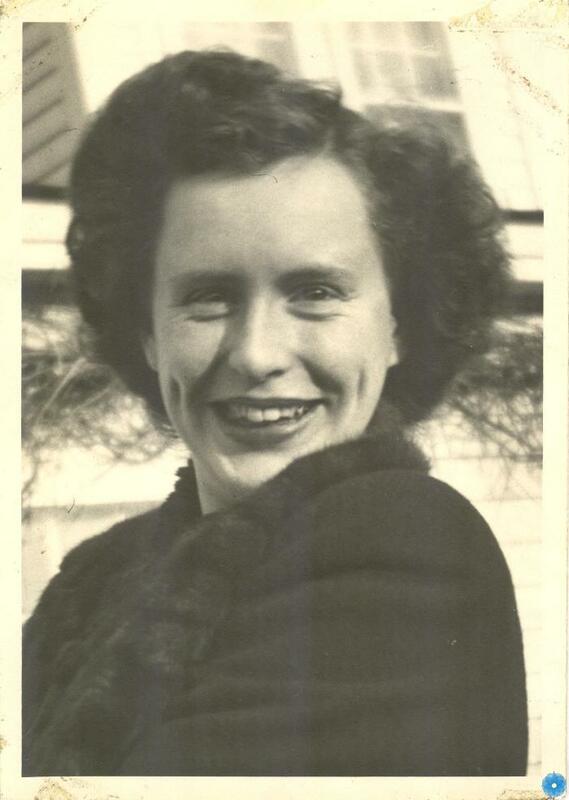 Jean Gow Fielding was the Bridgewater Girl Guide leader as well as District Commissioner. Jean Gow Fielding died 26 December 2007 and is buried in Brookside Cemetery, Bridgewater. Description: Black and white photograph of a young woman identified as Jean Gow, Bridgewater. Portrait is a head and shoulders shot. She has short curly hair parted on the side, and is wearing a dark coat or jacket with fur trim at the neckline and collar. Partial view of a house window in the background.